The International Office of Allotment and Leisure Gardens has awarded the Swinbrook Road Allotments, Carterton a diploma for their innovative projects. Click here to view some slides of their achievements (a compressed powerpoint will download to your computer). The Allotment site has 45 full plots on a 1.22 hectare site to the North of Carterton on the edge of the Cotswolds. The aim of their projects is to improve the soil and working conditions for all the allotment plot holders on Swinbrook Road Allotments and to increase the popularity of the allotments in the local community. 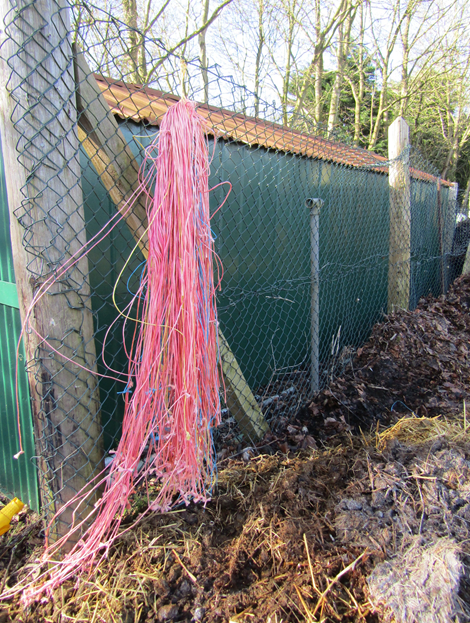 They have improved the site facilities using several innovative techniques, such as reusing materials which would have otherwise gone to landfill or burnt. It is felt that these plot holders have used great initiative in acquiring the above materials. Their imaginative and ‘innovative activities’ have greatly improved the facilities of the site both to the benefit of their members and their local community. In the process of their activities they have also minimised air pollution, landfill requirements, smoke pollution from burning treated timber and reduced the need for many road miles resulting in benefits to the wider community.